July 4th is already here and summer is in full effect, anyone else notice how hard its been to trade this market? This will be a quick post on setups I will be paying attention to this week. 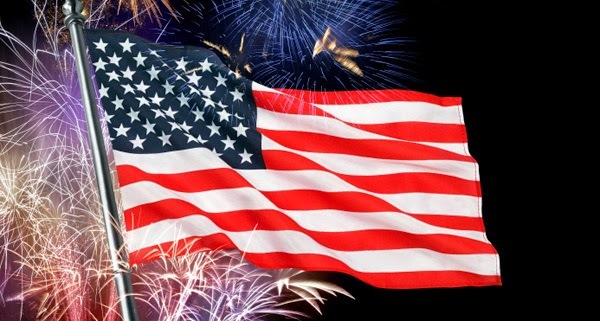 Keep in mind this is a short trading week, the market will be open July 3rd until 1pm and closed July 4th. Not looking for much action this coming week as everyone will be vacationing. I had a feeling this would happen after the initial bounce from the 1550 area. The bounce took place and got traders long to the 50sma and then had a brief sell off day and tested that 1600 level once more. To continue to the upside it would need to break that 50sma and close above it, by looking at the chart it failed to do so. I would not be surprised if we re tested the 1550 level once more. Also I have a feeling we will not see a lot of volatility in the markets since we are in the summer months, thus scalping your trades will work better. Apple has been tough to trade the past few days, the moves have been slow and some what UN-predictable. If you look at my chart, I have to alerts setup where I think the bigger moves will take place. One at the key 400 level to signal the bounce will continue and see further upside, the other sits at the April low of 385.10 which if it breaks that then we should see further downside. Also take a look at my google chart, I also have 2 alerts setup that will be my trades. One at the 50sma and the other at the white trend line that it has been testing a few times. A break above or below these levels will be a nice trade. Good ole netflix, still waiting for that 204 level to break so we can fill that massive gap. As you look at the chart notice that its holding below the 50dma but still in the frustrating channel. I am waiting for the breakdown on this chart. Visa has been on a tear the past 4 trading sessions, the last day tested that new high level but you could not break above it. On the other hand It might come back and test that mid level channel line and consolidate then try to make new highs once again, I think it can do it and i will be there to trade it! I really like this chart setup on ACLS. Has a rising wedge pattern I like to play with a potential breakout of 1.85. This stock has a beta of 2.52 which is high, so if this can power threw 1.85 with massive volume we could see 2+ fast. I am really just watching FNMA I missed a nice bounce, this could potential see and test the 200dma at .65 then make a nice bounce off it. Other wise this needs to get above and close above the 50dma to see any more upside. Friday watch list and trade setups.